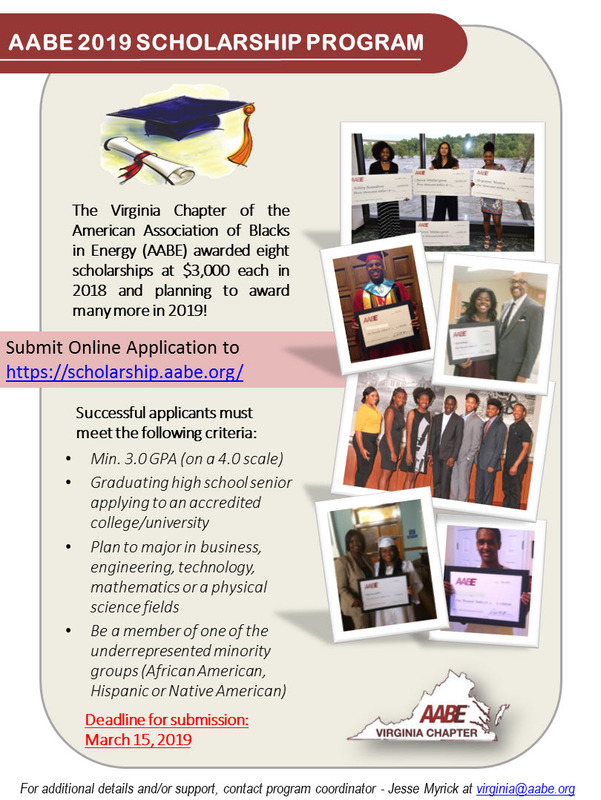 The Virginia Chapter of AABE® is pleased to announce the availability of scholarships for 2019. Virginia scholarship recipients are determined by the Virginia Chapter Scholarship Committee. If you have any questions throughout the process, please contact program coordinator - Jesse Myrick at virginia@aabe.org. All completed application packages MUST BE SUMBITTED BY FRIDAY, MARCH 15, 2019. Local, Regional, and National winners will be notified by April 26, 2019.